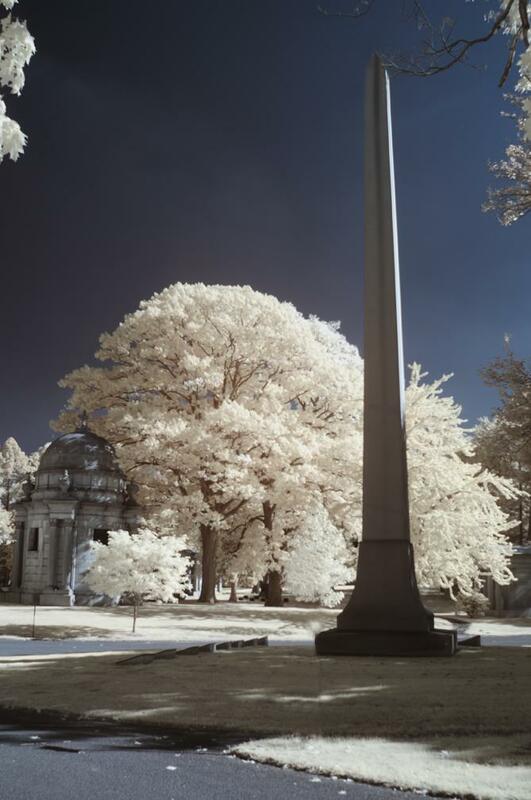 I Had my old D90 camera refitted with an internal infrared filter. I used LifePixel to do the conversion. I’ve been spending the last couple of days figuring out how to take photos with it and how to process them. 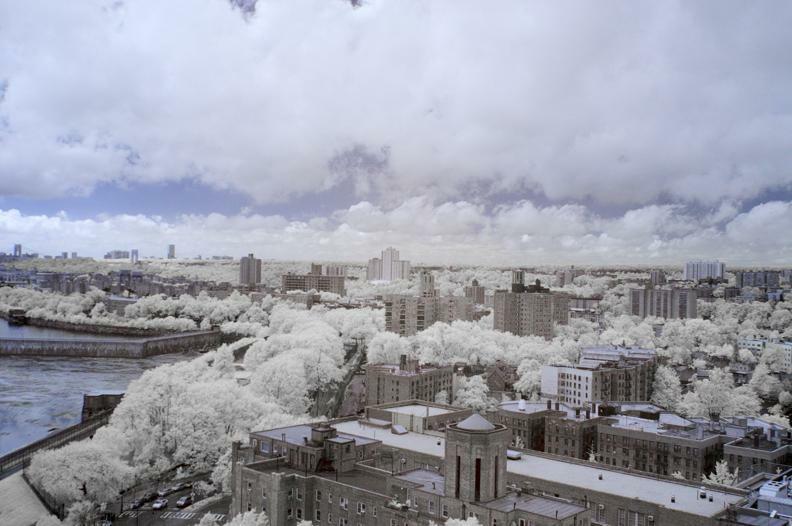 I think I still have a lot to learn about composing for infrared. My D90 doesn’t allow for a custom white balance, so I have to shoot in RAW and process the white balance at home. That makes all of my photos bright red up to the point that the white balance has been corrected in the computer. It makes it difficult to see what I have until then. Most of my photos have been processed by correcting the white balance in Capture NX and then switching the blue and red channels in Photoshop. 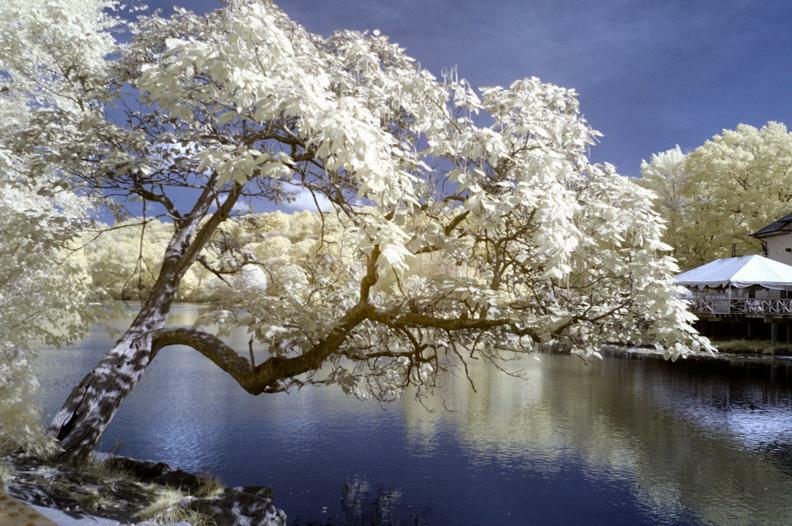 This creates an IR photo with a blue sky. 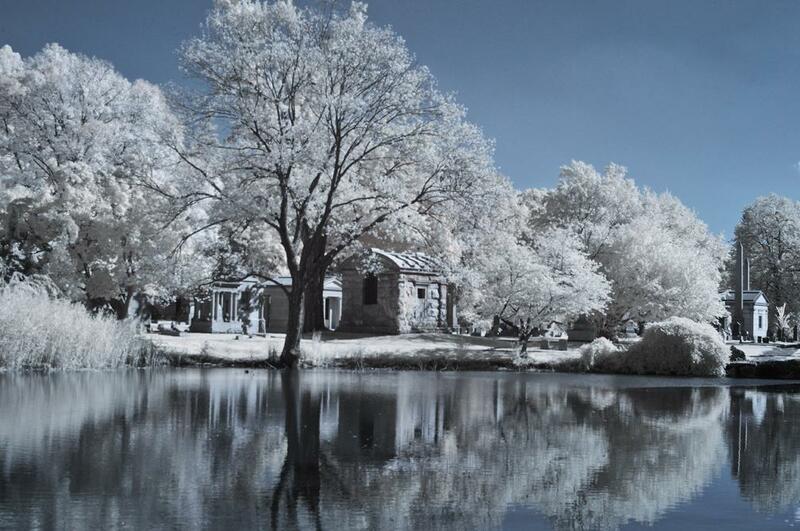 I would also like to do more infrared in black and white also. I need to find some interesting contrasty subjects. But in the meantime, here are my current IR photos. The first one is simply a photo from out the kitchen window. 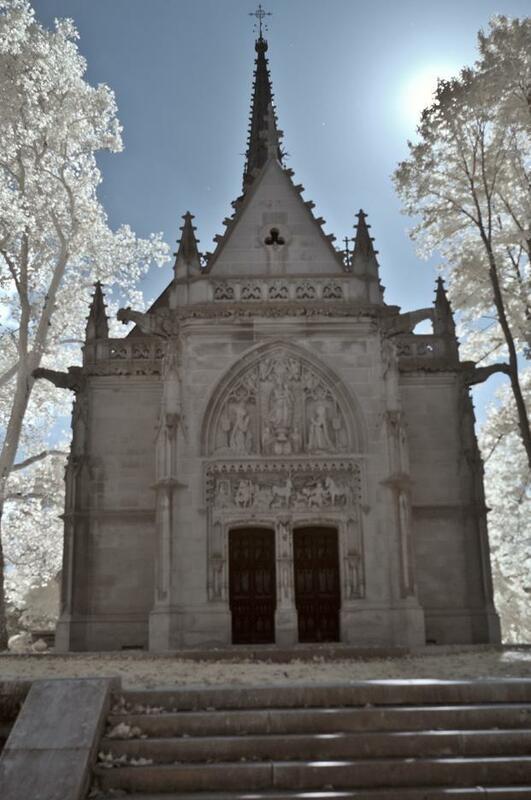 The second is from Van Cortlandt Park and the rest of them are from Woodlawn Cemetery.